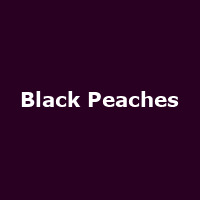 Black Peaches are a band fronted by Hot Chip and Scritti Politti man, Rob Smoughton. "Drawn from the swamp and the delta, the Peaches' music is loose-limbed and strung-out, a psychotropic stew of funk, jazz and country music." The band released their debut album, "Get Down You Dirty Rascals" in 2016.